Korean Beauty Secrets Every Girl Needs To Know! Home / Beauty / Skin care / Korean Beauty Secrets: Asian Beauty Tips Every Girl Needs To Know! Maybe she's born with it, or maybe it's her beauty routine? We all idolize the flawless, radiant skin Korean women possess - their poreless, smooth complexions are nothing short of perfection. But just how do they obtain such naturally beautiful skin and how can we get it too? These are the Asian beauty tips we all need to know - REVEALED! Korea is a world away but that doesn't mean we can't find discover the region's best-kept beauty secrets. As the 12th largest cosmetics producer on the planet, Koreans care about looking good, and have tried and tested formulas for ageless-looking skin. From dedicated skincare routines that will put any soap+water girl to shame, to must-try ingredients and snails (yes you read that correctly) these Asian beauty tips from Korea are all you need to know for radiant, flaw-free skin. We spoke to Korean Beauty experts Yuna Shin from Missha US and Charlotte Cho from SokoGlam to get the insider info. Use natural ingredients make an impact. Wear SPF to protect your skin. The main difference between Korean and Western skincare regimes is that Korean children are taught to take care of their skin daily from a very early age. By teaching children how to properly moisturize, exfoliate, and protect their skin so young, they learn how important it is to be in control of their skin's health. ​Taking care of your skin in the morning and in the evening, every single day, means the chance of unwanted blemishes erupting is lessened significantly, leaving your skin to shine. The earlier you realize this, the healthier your skin will be in the long-term. To ensure beautiful, flaw-free skin, you should spend time on the acclaimed two-step double cleansing method. The method aims to remove both makeup and excess dirt that is picked up throughout the day. ​The first step of the method is to apply an oil based cleanser to the face to remove any makeup and traces of oil. Next, you apply a foaming cleanser to remove dirt. This is because there are different types of dirt that can be removed with different types of cleansers. Like attracts like so use an oil based cleanser to attract and remove oils from your makeup and skin and a water based cleanser to remove water based impurities like sweat. ​This two-step cleansing approach guarantees smooth, radiant skin as well as unclogged pores. "Cleansing is the key to great skin. It’s a must, whether you have makeup on or not, because dirt and oil build up throughout the day" says Yuna. "Cleansing and exfoliating is necessary in order to wash away all impurities, unclog pores, and get smooth and refreshed skin." Skin Food Egg White Pore Foam is a wonderful foam based cleanser to use to clean dirt without removing essential oils from your skin while Clean It Zero is Korea's no.1 cleansing balm that transforms into an oil on contact with skin. Use this together for pore perfection. Just like you, your skin is thirsty too. South Koreans aim to achieve a refreshed, hydrated face by using mists and moisturizers that are believed to prevent wrinkles. Loaded with hydrating ingredients, Korean Skincare products are amazing at revitalizing your skin. A great way to hydrate your skin is to use sheet masks soaked in essence. Simply keep the sheet on your face for 20-30 minutes to ensure that the nutrients will be absorb into your skin. Another great way to hydrate your skin is to use a sleeping mask at night. Charlotte opts for sleeping masks rather than night creams. A sleeping mask "creates a protective layer over your face, keeping all the active ingredients locked below the surface for better absorption while you sleep. When my face is excessively dry, I also like to use a facial mist throughout the day. It might sound like a lot but prevention is the best method to combat wrinkles!​"
Try Near Skin Total Repairing Hydro Gel Mask for a burst of hydration. We're obsessed with Super Aqua Micro Mist too which comes in different fragrances like rose, lavender and bergamot. Just spritz your skin happy! Toning is nothing out of the ordinary in the Western beauty hemisphere, however Asian beauty experts swear by this so-called 'magic in a bottle'. "Toner, in general, is what sets your skin after cleansing so that the following products absorb well into the skin. Without a toner, my moisturizer just doesn’t go on the same," claims Yuna. You certainly don't want to skip over this step in your daily beauty routine. Toners replenish and nourish your skin while simultaneously shrinking the size of your pores. In Korea toners are referred to as 'refreshers' and that is exactly what they do. Refresh and ready the skin for the next step in your skincare routine. Try best-seller Etude House Collagen Moistfull Emulsion. The collagen and baobab tree extract in the formula firms, plumps, and softens skin, leaving it smooth and clear. Lighter than lotions and as important as toners are liquid cleansers infused with essential ingredients called essences. And don't let their lightweight, water-like nature fool you- often that these liquid assets contain more benefits than your favorite creams or serums. Essences are typically used to target specific issues, which may range from acne to ageing and any other skin condition in between. Each ingredient is designed to treat a specific skin concern. Essences have been big in Asia for years, so if you want to put a halt on the ageing process and wake up looking like Vera Wang when you're 60, we suggest you invest! Missha First Treatment Essence helps to accelerate skin cell turnover to gradually reveal fresher, younger-looking skin. If you want to put a stall on ageing and keep your skin firm while maintaining a youthful glow, it is very important to moisturize each and every day. Moisturizers help increase your skin's water content and keep your skin feeling as soft as can be. One particular ingredient that is common in Korean beauty products is is hyaluronic acid. "It is a great humectant that binds moisture to the outer layer of skin" says Charlotte. Etude House’s Hyaluronic Acid Essence Mask is a great way to lock in moisture overnight. The most powerful ingredients on earth come straight from nature. If you wouldn't put chemicals and preservatives in your body, then why would you put them on your face? Look for beauty products with natural ingredients. A few favorites of our Korean beauty experts include Snail Mucin, green tea, and Yeast Ferment. Snail ​Mucin, also known as Snail Slime Extract (yes, from real slime) is becoming more popular in the beauty hemisphere. 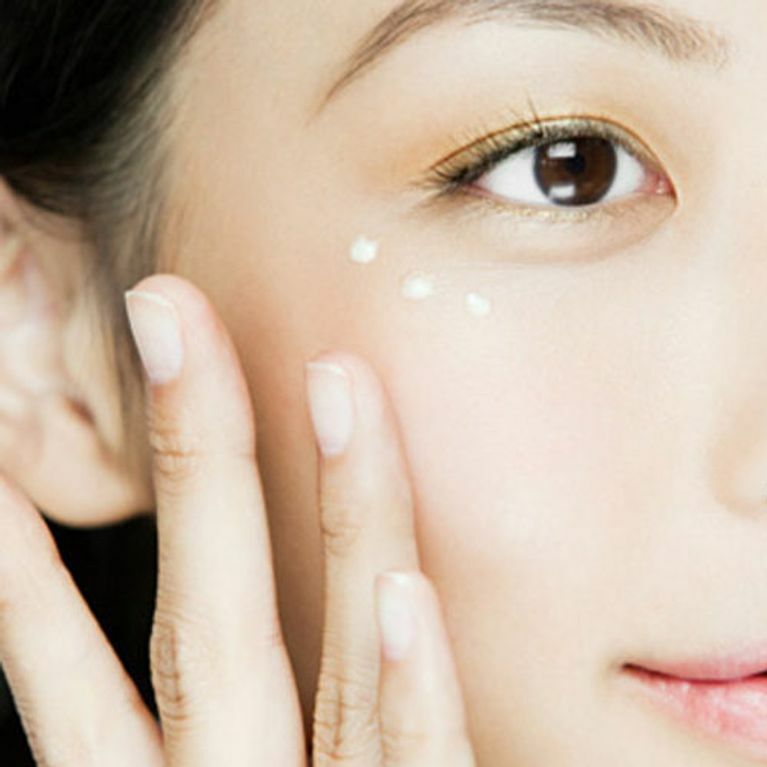 Koreans use snail creams with this ingredient for people with sensitive skin. It is known to help regenerate skin cells, bringing back a healthy looking complexion. Would you put snail slime on your face for the sake of your skin cells? Green Tea helps revitalize tired skin and maintain a healthy, natural glow. Being one of the most popular ingredients in Asian beauty products today, it can be found it a wide variety of products from moisturizers to essences and everything in between. Yeast Ferment ​is a naturally fortified Vitamin B group. Products with this ingredient, including essences, help increase your metabolism and maintain healthy skin. "This ingredient became popular in recent years for its anti-ageing benefits," says Yuna. It is also great for cleansing and moisturizing the skin. Unfortunately, it does have a yeast-like smell, but when the benefits are so good you soon won't notice it! Many Korean women NEVER leave the house if they don't have sunblock. Now, we are not suggesting you develop Agoraphobia, but we're just advising you to always protect your skin whenever you're outdoors. No matter what season it is or what climate you live in, you should always apply sunblock. Missha's Mild Essence Sun Milk protects, moisturizes, and hydrates your skin, providing a complete skin remedy each time it is applied. "It's light, not sticky, moisturizing and doesn't leave a white cast" says Charlotte. Wearing SPF also prevents ageing, wrinkles, and harmful blemishes so get stocked up on you sunblock Korean style. Everything you put into your body affects your skin. If you want natural, clean, illuminating skin, then you must eat and drink clean! Nutrients in fruits and vegetables will help clear up your skin when imperfections arrive. The Korean diet is known for an abundance of water, vegetables, and other ingredients filled with minerals and nutrients that are sure to leave your skin gleaming. Kimchi is a fermented cabbage that Koreans eat with almost EVERY meal. This vegetable is loaded with probiotics, vitamin C and beta-carotene, ingredients that boost skin health. Many Korean families keep a pitcher of chilled boricha in their fridge, which is roasted barley tea. Not only does this tea keep your skin hydrated, but the drink is full of antioxidants and fiber, which help cleanse toxins out of your body allowing your skin to preserve it's elasticity. Another common ingredient in the Korean diet is a fermented rice wine called Makgeolli. Makgeolli is abundant in amino acids and minerals to help brighten your skin. We can definitely drink to that! The key to Korean skincare is consistency. It is crucial to take care of your skin each and every day, no matter how much of a rush you may be in! If you want beautiful, firm, and flaw-free skin that will keep your youth prominent, don't be lazy! Don't wait until it is too late and there is irreversible damage to your skin. As Yuna says, "Your skin is precious, and you have to take good care of it!" A special thanks to Yuna Shin from Missha US and Charlotte Cho from SokoGlam for their expert advice! Interview with Whitney Port: Her Californian beauty secrets revealed!